A friend of mine who works in rescue recently sent a picture of a Shih Tzu, asking my opinion on her unusual color. Because I am very fond of dogs, posts about them appear here from time to time. They are a very interesting species for those who study color because, like horses, the genetic mechanisms involved have been the subject of a great deal of research in the last few years. In this particular case, the subject happens to touch on a number of relevant topics, including the possibility (thanks to genetic testing) of differentiating between visually similar colors, and the challenge presented when it comes to categorizing and naming colors. But before I post about Angel, the unusual Shih Tzu, I thought it might be a good idea to explain – for those more familiar with horses – the more common diluted colors in dogs. I suspect that Angel is an albino dog, which is to say that she probably does not have some combination of the factors discussed here. I’ll talk more about just what albino does mean in the context of dogs in subsequent posts. For now, this is a post about what Angel is not. I should probably start by saying that dogs, like all other mammals, have two basic types of pigment: eumelanin (black) and pheomelanin (red). There are some differences both in how color works in dogs, and also in the classifications and semantics. For instance, what horsemen call red pigment is often called yellow in dogs. That is understandable, since pheomelanic dogs are more often a tan or golden color, while the deep chestnut brown common in red horses is relatively rare. However, because red is familiar to readers of this blog, that is the general term I will be using for pheomelanin. The other problematic term is Brown, which here refers to the color found in chocolate Labradors. Brown in horses is something quite different. To make matters even more confusing, in some dog breeds this color is called red. It is also sometimes called liver, but like brown that means something very different in horses. Brown is also not usually classified as a dilution, but is most often referred to as an alternate form of black pigment. For simplicity, I have used the term “dilution” in a more general sense, meaning anything that makes the fur, skin and eyes lighter. Just be aware that Brown is often spoken of as being separate from the other colors described here, and that using “dilution” as an overall category is somewhat unique to the horse color community. The Doberman Pinscher on the left in the image above is a Blue dilute. While the color is most commonly called blue, the formal term for the mutation is Dilution. It alters black pigment in both the skin and the hair to a slate-gray. Dilution also alters red pigment to a more muted tone, though the effect is more subtle than with the black. This blue Italian Greyhound is another example. Notice that his eyes are not particularly pale. While many Dilute dogs have gray or amber eyes, there does seem to be a range of possible eye colors. The coat can vary quite a bit, too, so that some Dilute Blues are quite dark. On genetically red dogs in particular, it can be easy to miss some of the darker shades of Dilution because the only sign may be a dark blue (rather than black) nose. Dilution is a recessive gene, which is why blue dogs can occur unexpectedly in litters. It is believed that there is more than one version of the mutation for blue, though at the moment only one form can be detected by testing. There is no known equivalent mutation in horses. There is a mutation to the same gene (MLPH) in cats which dilutes black to blue and red to cream. That mutation is responsible for the distinctive blue coloring in the Korat, Chartreux and Russian Blue breeds. The brown Miniature Pinscher in the picture at the top of the post has had her black fur and skin is replaced with chocolate brown. Like most brown dogs, her eyes are amber. Brown does not alter red pigment, which is why the tan points are still a clear red-gold. In colors that involve a mix of red and black fur, this mutation will turn the black areas brown while the red areas remain unchanged. Like the blue dilution, brown dogs are found in a range of shades from dark to light. In my own experience, it seems that brown dogs with some degree of red pigment (sables, brindles, tan-pointed) are often paler in shade than brown dogs that are genetically black, like this German Shorthaired Pointer. Dogs have black-pigmented skin, which is why genetically red dogs like Golden Retrievers and Irish Setters have black noses. When a red-pigmented dog inherits the brown color, the fur color does not change but the skin is brown. This is not a separate mutation, but rather a combination of the two previous colors. Dogs that are both Brown (bb) and Dilute (dd) are a pale shade of taupe gray with pale gray skin and green-gray eyes. The best-known breed with this kind of color is the Weimaraner, but it can occur in any breed where both brown and blue are found. To date all the white and cream dogs have proven to be genetically red (ee). Because they have black noses, eye and lip rims, and dark eyes, the assumption is that they have some factor that dilutes red (but not black) pigment. Sponenberg proposed calling the factor Intensity (I), so that is sometimes how it is notated. The mechanism behind the color is not yet known, however. An added complication with dogs is that white patterning that covers the face – even extensive areas of the face – does not alter the color of the nose. (Notice the extensive white on the face of the blue Pit Bull, yet his nose retained color.) Theoretically, a dog with an extreme piebald pattern might not look much different from a dog with extremely diluted red pigment, so it is possible that some all-white dogs are not actually dilutes at all. That is a quick overview of the more common things that make for pale dogs. The next post will have pictures of Angel, and a little historical background on albino dogs. In the previous post about founders, I talked about the search for the origins of the silver dilution. I wanted to present another case study that highlights some of the challenges in tracing color lines, this time with classic splash white (SW1). We tend to talk about this form of splash white as being incompletely dominant, with the heterozygous horses tending to show very little white and the homozygous horses having the more distinctive “classic” form of the pattern. When the pattern was first described in 1931, however, it was called Recessive Pied. This was in contrast with Dominant Pied, which we now call tobiano. Later the author, Valto Klemola, proposed changing Dominant and Recessive Pied to “Piebald” and “Splashed White” respectively. By visiting the Splashed White Project page, and clicking on the button to display heterozygous SW1 horses, it is easy to see why Klemola would have considered the pattern recessive; the horses in that group do not look like pintos. 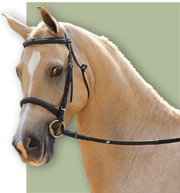 In fact, there is a growing understanding that in breeds with minimal white markings, horses can carry the SW1 mutation without showing unusual – or sometimes any – white or blue eyes. With that reality in mind, classic splash behaves enough like a recessive that it illustrates how the search for a founder is different when the color is not visible in the carriers. Klemola noted how the pattern sometimes surprised breeders. That observation comes from the second paper, published in the Journal of Heredity in 1933. The earlier paper, published in Zeitschrift für Züchtung, included pictures of Danish and Swedish horses with the classic splash pattern. But the main focus was on the Finnhorse stallion Eversti, who was known for producing both blue eyes and occasional pinto patterns. Although he was only mentioned in passing in the 1933 paper, the earlier one provided extensive details about both his ancestors and his descendants, all of which point to the likelihood that he was heterozygous for SW1. Eversti was a black horse with white markings, but his paternal great-granddam was a blue-eyed pinto (“glasäugig und bunt”). When dealing with historical records, SW1 horses are rarely identified as pintos unless they are homozygous. Had the color been unique to Finnhorses, she could not have been the founder. One truth about recessive colors is that the founder would not actually be the new color. Remember each specific mutation is a one-time event. To display a recessive trait, an animal must be homozygous – it must have two of the same mutation. So even if his pinto great-grandmother had been the first known splashed white, she could have been ruled out as the actual founder. The real founder appears somewhere on both sides of her pedigree, and he or she was probably quite unremarkable. The original mutation could spread pretty far before two descendants were crossed, and the result was a very obvious pinto. Klemola knew that splashed white was not unique to the Finnhorse, so that unnamed pinto mare was never considered as the founder. As he noted, the same pattern occurred in other Northern European breeds, so the original mutation happened before those breeding groups separated. In more recent times, the same type of pattern was observed in breeds as diverse as the Pasos of Puerto Rico and the Marwaris of India. When a pattern is found across a broad range of breeds and regions, that usually means that the mutation is old. Like other old mutations – silver, tobiano, leopard complex – it is unlikely that much will ever been known about the horse that carried that first SW1 mutation. The most that may be possible is to identify some of the sources for the pattern within some of the modern breeds. Now that a test is available for the pattern, carriers can be identified even when they have not produced the more obvious classic pattern. With enough testing information, lines that carry SW1 can be identified. This process has already started in the Morgan breed, where Royal-Glo and Lady In Lace, and ultimately their ancestor Rhythm Lovely Lady, have been named as likely sources. It may be possible from there to connect those horses to some of the early American lines that predated the stud books, since some of those were noted for producing blue eyes. This is perhaps as far back as it may be possible to go with the history of the pattern in America. In the case of the Finnhorse, Eversti proved to be an influential stallion. His great-great-grandson, Murto, is one of the four male lines in the breed. Both Murto and his son, Eri-Aaroni, were chestnuts with flashy white markings. Intiaani, the first Finnhorse that tested positive for one copy of SW1, carried 21 lines to Murto through the female side of her pedigree alone. Eleven of those were though Eri-Aaroni. And yet that influence is probably the best argument against the color coming from Murto. It is difficult to find a modern Finnhorse without multiple lines to Murto – and by extension, to Eversti. If Murto carried SW1, breeders should have started to see classic splash offspring among his linebred descendants. Yet until the results came back from Intiaani’s test, it was widely assumed that the pattern could no longer be found in Finnhorses. That would suggest that the source for the mutation came through one of the less common lines to Eversti, or even one of the other lines that go back to Eversti’s sire Jalo (grandson of the blue-eyed pinto mare). The flashy white on Murto and Eri-Aaroni may well be unrelated to SW1. There are quite a few horses that have either tested positive for a single copy of SW1, or that have produced the classic pattern, that look like Eri-Aaroni (pictured above). A fair number of the known splash white producers in the Welsh Mountain Pony have similar markings. There are also quite a few breeds where these types of markings are common, like the Arabian, yet SW1 is not believed to be present. That complicates the search for sources in breeds where a variety of white-producing mutations are found – which is actually the case in most breeds. Even the presence of blue eyes in a line may not indicate the presence of SW1 in breeds where it is known to be, because some blue-eyed horses have been testing negative for the (currently) known forms of splash white. With luck those other blue-eyed horses will prove to have a newer mutation. That is the case with the other four formally identified forms of splashed white. The founder of the most common of those, SW2, is a known individual. While she was not named outright in the original paper, the information given matched that of the 1987 Quarter Horse mare, Katie Gun, dam of the famed reining horse, Gunner. The suspected founders of the other three were all born in the last two decades, which would suggest that mutations of this type are more common than originally thought. And this is probably a good place to jump over to the subject of my friend’s albino dog, since that involves recessive genes, separate mutations producing similar colors, and the search for founders. I’ll start that topic in the next day or two. Earlier in the Christmas season, I posted a Bitstrips comic on my personal Facebook page joking about the genetics of Rudolph’s nose. In response, a friend sent a link to this article on a 2012 study on red noses in reindeer. As part of the study, thermal images were taken of red-nosed reindeer. The nasal microcirculation of reindeer is richly vascularised, with a vascular density 25% higher than that in humans. These results highlight the intrinsic physiological properties of Rudolph’s legendary luminous red nose, which help to protect it from freezing during sleigh rides and to regulate the temperature of the reindeer’s brain, factors essential for flying reindeer pulling Santa Claus’s sleigh under extreme temperatures. The BMJ study did not address the heritability of red noses in reindeer. However, one would think that if the trait caused an individual to be excluded from reindeer games, his chance to pass it along to offspring would be considerably limited. That might explain its relative rarity in the overall reindeer population. Merry Christmas to readers of the blog!